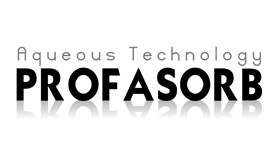 Profasorb is a uniquely formulated high grade proprietary soil surfactant with added long term effects designed for fertigation applications. It helps reduce crusting, loosens up hard clay soils, aggregates sandy soil, and allows water and oxygen to better reach plant roots by reducing the surface tension between the water and the soil. Profasorb is designed to decrease the surface tension between water, soil and plant while improving the growth and activity of micro-organisms necessary for a healthy soil environment. Best of all, it is so easy to use and its beneficial secondary effects to LDS are noticed rapidly. Not only are you improving the soil, but you are adding a long term effect to the turf to make it healthier, and increase its disease and insect tolerance. Profsorb is a applied through fertigation at a rate of 2 – 4 quarts per acre per month. For best results apply 2 quarts per acre every two weeks.